‘There are an average of 1500 injury accidents involving forklift trucks every year’, and it’s likely that the majority of these are caused by a lack of training or poor truck maintenance. Although serious and fatal injuries are relatively uncommon, the injuries more likely to have a bigger impact on your business are the injuries sustained through daily operational use. Head and neck injuries, back pain, and repetitive strain injury are the most common complaints in the material handling industry, resulting in an increase in time off and overall staff turnover. So, how can businesses ensure that the risk of sustaining these injuries is reduced? Operator comfort is one of the most important factors in ensuring overall efficiency—not just for your workforce—but for your forklift fleet too. At TCM, when it comes to the efficiency of the truck we invest in the operator, making them more comfortable and therefore more efficient. But it’s not just about improving efficiency. Businesses should be looking to protect the long-term health of their employees, ensuring that they don’t sustain injuries that are likely to impact their lives outside of work. Unfortunately, lower back pain is a relatively common injury that is likely to affect the majority of forklift operators throughout their career—sometimes even after retirement or leaving the company. According to the Office for National Statistics, musculoskeletal problems accounted for approximately 30.8 million working days lost in 2016, which suggests that there is some work to be done to improve overall safety and comfort in the workplace. By ensuring that the workplace environment is fully optimised for human use, we can greatly reduce the number of injuries sustained and therefore reduce the number of working days lost to injury. So, how does this apply to the material handling industry, and more specifically to forklift operators? The driving of forklift trucks is an occupation that frequently exposes the operator to whole-body vibration—a key factor believed to increase the likelihood of injury to the lower back, so it's paramount the cab itself is designed to reduce impact caused by operational vibration and general knocks and bumps. For most forklift operators, the truck is where they spend the majority of their time during their working hours, so this is the first thing that should be optimised for safety and comfort. One way that forklift manufacturers can do this is by evaluating the ergonomics of their cabs. The seat should be designed to offer protection from shocks and jolts, but also to absorb the majority of the impact. Manufacturers should also ensure that the steering column and other key operational components are easily adjusted to best suit the operator. 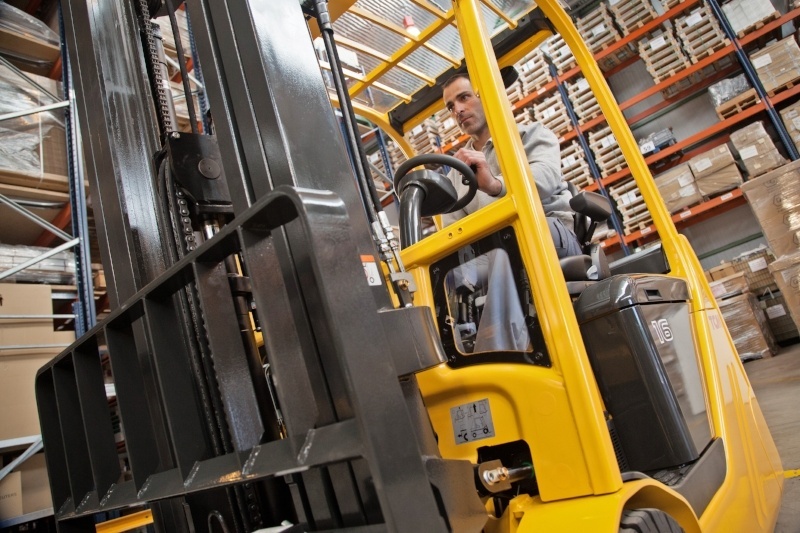 Forklift trucks that aren’t designed with their handlers in mind may cease to be fit for purpose and will likely result in a much greater impact on the efficiency and productivity of your workforce as the risk of injury is greater. With this in mind, it may be useful to perform a risk assessment of your current fleet, as well as checking your operators are aware of the cab adjustments they’ll need to make to ensure that they're as comfortable as possible whilst operating their trucks. Another factor that can contribute to lower back pain is the way that forklift operators turn to check behind them when reversing. This constant turning movement along with the truck vibrations can put a huge amount of strain on the muscles in the lower back, as well as higher up the vertebrae, resulting in a greater likelihood of injury. Excellent visibility is required here so that the operator does not have to strain to be able to see clearly, but the truck must also include features that support the handler when undertaking this movement. Handles and grips situated on the cage itself can provide extra stability, helping the operator to balance correctly and reducing the need to twist unnecessarily. However, lower back pain is not the only injury sustained through frequent forklift operation. Repetitive strain injury (RSI) can also be a huge contributing factor to missed days at work. The operation of forklift trucks is a repetitive process so it is important to educate your handlers in the correct way to drive their trucks to reduce the risk of sustaining a repetitive injury. Arm rests are supplied in the majority of forklift trucks to prevent fatigue and should be used often. Another way you can reduce the chances of your workforce developing RSI is to educate them on correct posture. Forklift handlers should take the time to stretch regularly to alleviate the symptoms of muscular discomfort. Stretching not only reduces the chance of injury, but also helps to improve posture and reduce muscle fatigue. Forklift operators are also at risk of developing whiplash as trucks tend to be very responsive to changes in direction or speed. It’s likely that many forklift handlers will drive around quickly to get the job done, but this could be causing more harm than good. Sharp increases in speed and sudden braking can both result in whiplash injuries, but the increase in speed can also impact the intensity of operation vibrations and amplify the shock caused by sudden bumps and jolts, as well as greatly increasing the likelihood of accident or collision. 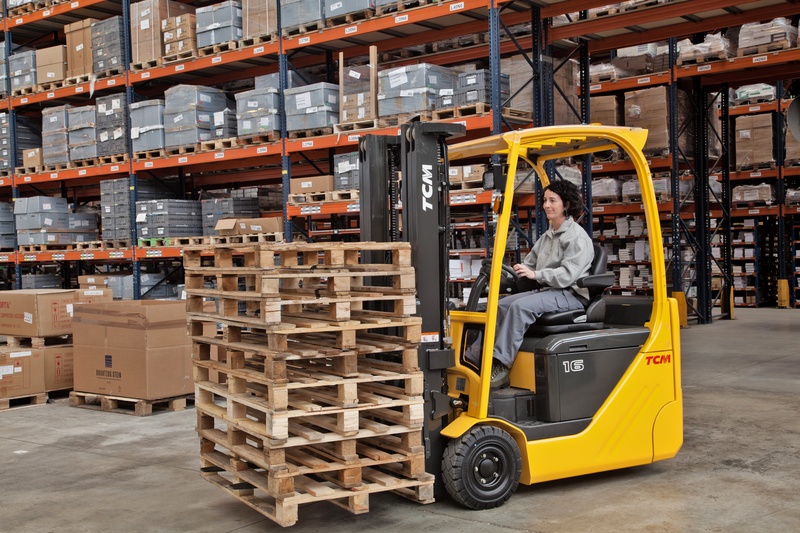 Forklift operators should ensure that they stick to the speeds enforced in their working environments, and always slow down when performing complex maneuvres. The majority of forklifts operate below 70 dBA, however the biggest issue appears to be when the vehicle warning system sounds while reversing. These alerts tend to be around 90 dBA, suggesting that noise safety procedures must be put in place. But hearing protection may also become a hazard in itself, as operators who have noise levels reduced through over or in ear protection may be unable to hear other people or warning signals. This could increase the chances of an accident occurring. In this case, logistics companies should aim to provide all forklift operators with Class 2 hearing protection. It's also important to make sure employees understand how to use ear plugs correctly to ensure they receive the maximum hearing protection. To conclude, forklift operators are most efficient when they have the correct equipment and procedures to do their jobs safely. This not only reduces the risk of injury but ensures that they are working productively, without compromising their health or putting others at risk. Businesses in the material handling industry should not only look to assess their forklift fleets to ensure their machines are fully optimised for operator comfort and safety, but also regularly educate and train their employees with the best practices associated with correct posture and preventing damage to hearing. For advice on improving operator comfort in your business, talk to your local dealer today—click the button below to enquire.